Wherever possible, LMS scientists use cells and cell lines cultured in the laboratory, or computer based approaches to learn about health and disease. They also use invertebrate models, such as fruit flies and worms. 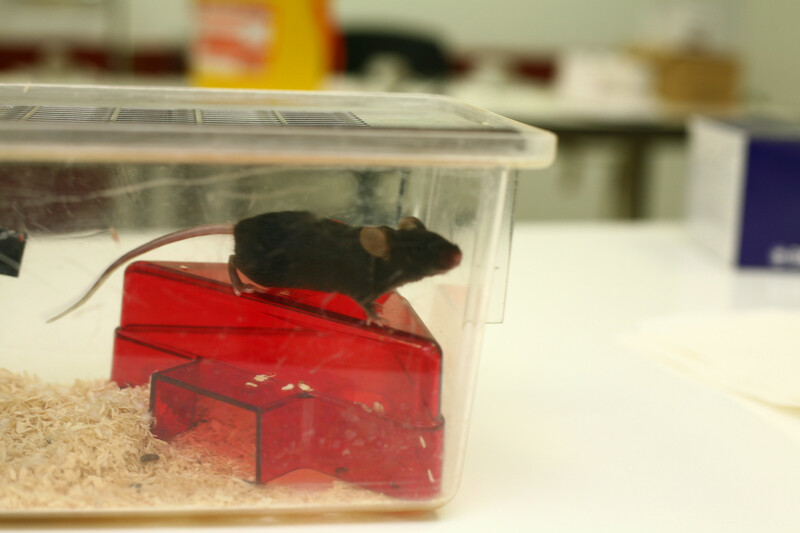 When there is a need to learn about the genetics and physiology of whole animals to improve our understanding of basic biology and how this relates to human disease, LMS scientists use mice and rats. The eventual aim is to identify new therapies and cures for conditions including cancer, sepsis, and diabetes and to learn more about diet, metabolism and ageing. The aim is always to fulfill the principles of the 3Rs, namely Replacement, Reduction and Refinement, seeking alternatives to using animals when possible. All work involving animals at the LMS is undertaken by fully trained staff under the governance of Imperial College London and in accordance with Government guidelines under the Animals (Scientific Procedures) Act. Animal research is strictly regulated by law and overseen by ethical committees. The College as a whole holds a Home Office establishment licence for animal research, and each researcher who works with animals and each new project involving animals requires a separate Home Office licence. Examples of our research here and how we communicate our research here.